From the shoddy computer A.I. to its fury inducing, controller maiming, passing system — “FIFA” has not been without its major flaws in the past but this year’s edition looks to have answered many gamers’ year-to-year questions. The year’s biggest innovations come in the form of the new precision- dribbling system, tactical defending and numerous augmentations to the games “Career Mode” feature; changes that may totally alter how gamers approach taking the pitch. No longer are you allowed to simply rely on your computerized teammates to do the defending for you — now you must actively shut down opponents yourself while directing your back-line on the fly. The dribbling system is the smoothest it has been in years and the ability to take a player, such as Manchester United’s Nani, and perform true-to-life tricks on the ball to confuse opponents is one of the most rewarding experiences you’ll have — once you’ve trained yourself on how to do so, that is. The “Career Mode” enhancements are the gem of the year as they now allow those who dream of being the next Sir Alex Ferguson, José Mourinho or Kenny Dalglish to build and form their favorite teams from the ground up. By reintroducing elements such as the “Youth Academy” and Scouting programs, the manager has a much bigger impact this year than in previous editions. The most notable and highly stylized gem is the introduction of “Transfer Deadline Day,” a true-to-life representation of one of the most exciting days in world football. You, as the manager, have the ability to wheel and deal hour by hour in an attempt to get that one player you may need to complete your squad. Will you be like Real Madrid and pay $132 million for Cristiano Ronaldo? Or will you emulate Manchester United and steal a world-class player like Javier Hernandez for a “paltry” $9 million? That’s the beauty of the feature as it allows you to feel the pressure of a dwindling clock while attempting to move your team from a mid-table finish to a genuine contender. 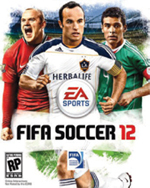 The online modes in “FIFA 12” are also polished and broader, allowing gamers to participate in numerous online tournaments — some that reward you with a cash prize from EA Sports for your skill on the virtual pitch. With “FIFA 12,” EA has thoroughly put its foot on the neck of its closest rival, Konami’s “Pro Evolution Soccer,” and may have finally delivered the blow necessary to ensure its dominance as the best footballing video game in the world. The graphics are rendered beautifully, the game engine is the smoothest it has been, and the developer’s attention to realism have all improved this year — and it shows. There are still some small, niggling issues with passing but if you’ve any experience with previous editions, you won’t be put-off any more than usual. Overall this is the strongest edition to date and EA has truly outdone itself in making their simulation of “The Beautiful Game” truly beautiful.